It’s happening again. The Halloween horrors are beginning to stir in their tombs from their un-deadly sleep and their hunger for human paintball player flesh igniting an irrepressible drive to come forth and feed. As usual, Delta Force Paintball is preparing for the inevitable onslaught of zombies, gremlins, vampires, witches, demons and all manner of evil and fun creatures rising from the depths. Book now for what promises, and history has shown, to be one of the most fun weekends on the paintballing calendar, and be in the running to win a whopping 1000 dollars worth of paintballs for you and 9 mates on your next visit to Delta Force Paintball! Imagine that! How easy can it be! 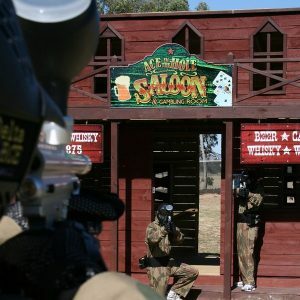 Dress up as a ghoul, a ghost, Herman Munster or whichever Halloween character you prefer, go into the draw, and if you win, next time you buy a day at any Delta Force paintball centre, you’ll get to share $1000 worth of paintballs with 9 mates to keep you ‘killing’ the enemy for hours. 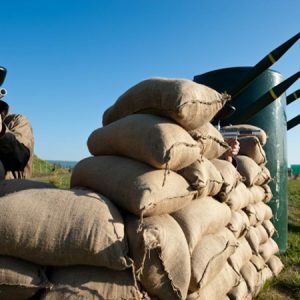 All while playing strategically designed games on the worlds best paintball fields and among movie set quality props with our trained marshals no more than a shout away to help you should you want their help. This is paintballing at its best, with the best, and the best value for your dollar you’ll get anywhere in the world! 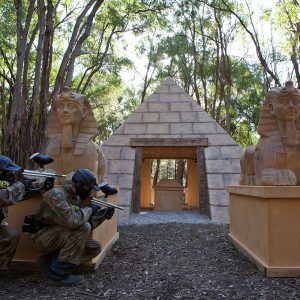 So, gather your army of underworld residents, and get your ‘freak on’ at your nearest Delta Force Paintball centre on October 26 and 27 and not only have a day you’ll remember forever, but go into the draw to come back with a mate and recreate the thrill. The winners of each Delta Force Centre’s Halloween competition shall be chosen by the Centre Manager at the end of the days play on Sunday the 27th of October 2013. The winner of each Halloween prize shall be the group organiser of the winning group chosen on the day by the Centre Manager. The major prize of a free days paintball up to the value of $1000.00 for 10 people can be used for any single booking within 3 months of the 31st of October 2013. The prize shall become void after the 31st of January 2014. All bookings should be made at least two weeks in advance. Delta Force shall not be responsible if the winner of this prize is unable to make a booking at a Delta Force Centre for a day of play that is before the 31st of January 2014. The major prize value of $1000.00 is to be split between no more than 10 people including the organiser, at a maximum shared value of no more than $100.00 worth of paintballs per person. If the organiser is unable to bring 10 people, then each person present shall receive $100.00 worth of paintballs upon arrival. Any additional paintballs used on the day shall be purchased by the players as per regular Delta Force pricing.